Bart Houston’s main motto on the football field is to have fun. It sounds simple, but it’s what keeps Houston’s love of the game fresh, he says. 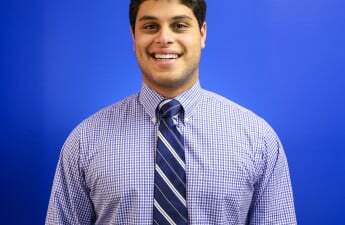 When he earned the University of Wisconsin football team’s starting quarterback job before the season began in August, he was having fun. When redshirt freshman Alex Hornibrook replaced him during the Georgia State game and took over Houston’s starting job, Houston was having fun. And over the last six games, when Houston has entered in a relief-style role under center, he was still having fun. Now, as the No. 6 Badgers (10-2) prepare for Saturday’s Big Ten Championship game Saturday night in Indianapolis against No. 7 Penn State (10-2), it was already a near certainty Houston would see some action, given UW head coach Paul Chryst’s platoon employed at quarterback down the stretch. Take into account Hornibrook’s questionable status, with a concussion he suffered playing against Minnesota, and it seems like a lock. No matter the situation — backup or starter — Houston will prepare for Saturday the same way he’s done all season — like he is playing every snap. “The way I prepare is the same way I do for every game,” Houston said. “If I don’t give it my all, I feel like I’m doing a disservice to this team. 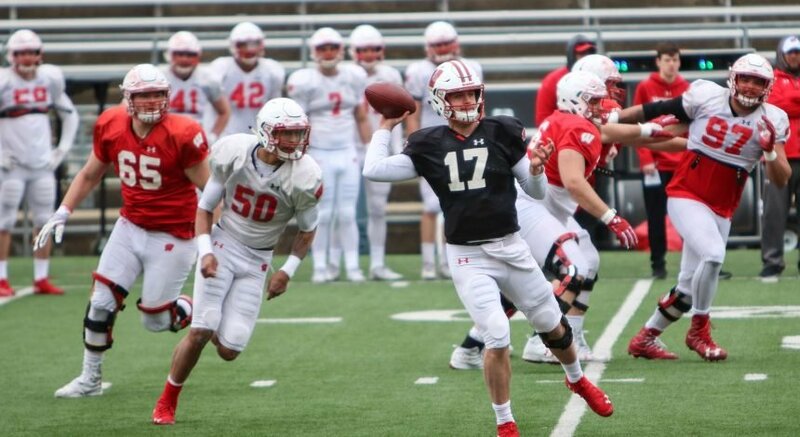 Houston earned the starter job after a battle with Hornibrook throughout training camp. 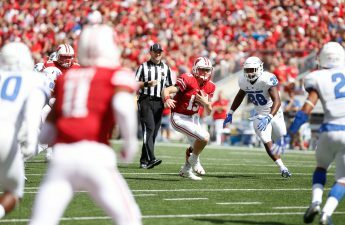 He started the first three games of the season before being pulled while struggling against lowly Georgia State, with Hornibrook starting in the remaining regular season games. But starting in the game against Iowa, Houston would enter when the offense needed a spark. Chryst’s tactic has led to success for Houston, albeit a smaller sample size than if he were Hornibrook, who still received the majority of snaps. In UW’s last four games, Houston is 17-for-24 with 287 yards and two touchdowns. Houston also adds an element of mobility and can use his legs to scramble for a first down, something Hornibrook hasn’t fully added to his repertoire yet. An added bonus of Houston’s recent play is the absence of an interception on the stat sheet over the last four games. 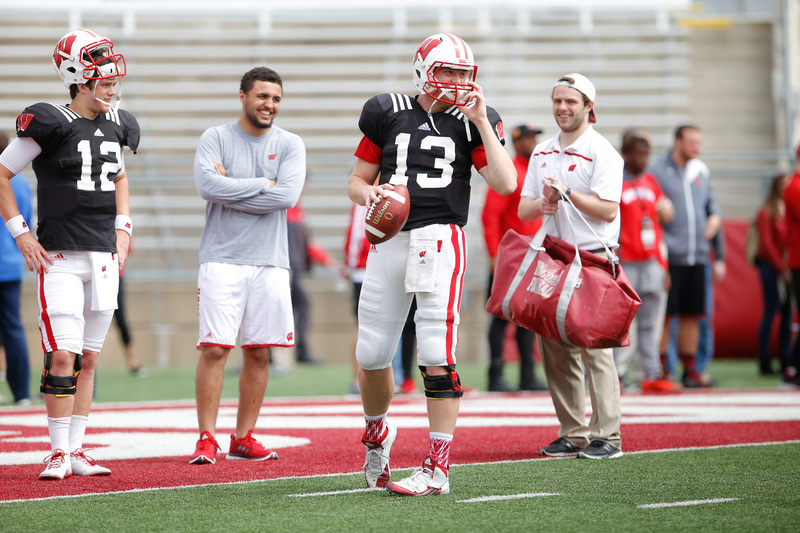 Houston said his and Chryst’s longstanding relationship — which goes back to when Chryst recruited Houston during his days as UW’s offensive coordinator — has led to a familiarity and level of comfort when it comes to play calling. For example, often Houston’s first throw comes on the move to the flat. The goal is to establish a rhythm not just for himself, Houston said, but for the entire offense. In the huddle, Houston makes sure to project assurance — in a slightly different manner than usual. After all, it’s all about having fun.